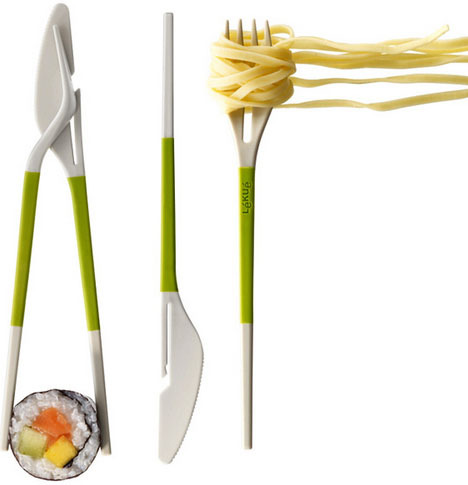 Molded rubber with nylon grips, this is not your normal Chinese-restaurant pair of disposable bamboo chopsticks – but does the task at hand warrant holding a new type of hybrid utensil, or simply add complexity to an elegantly simple table setting? 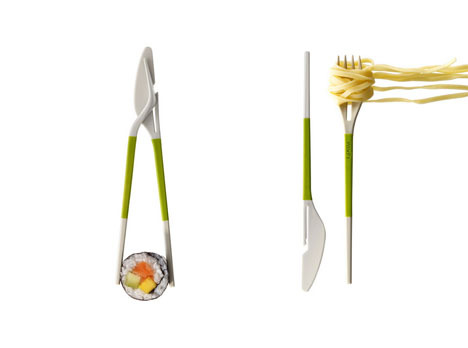 For those of us caught between worlds (curious about chopsticks but unable to handle them as well as Western tablewares), this spring-loaded-style, middle-of-the-road solution by DesignWright makes things a little easier – and addresses the awkward issue of having to ask for ‘regular’ silverware when frustrated. Not quite personalized nor customized, but still a gap-bridging idea for interstitial users-in-training. A spoon is intentionally left out of the mix – a third-wheel tableware object that a chopstick or two cannot replace anyway. 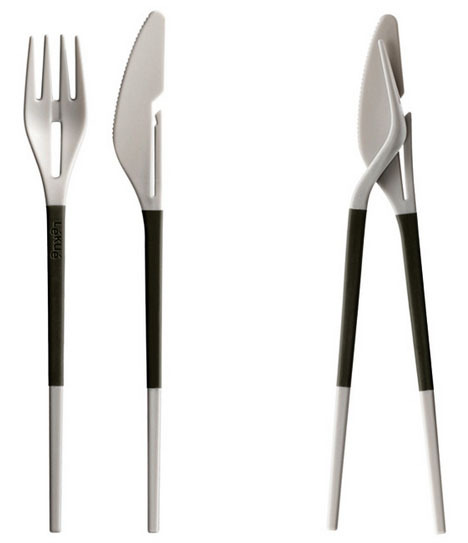 Still, to get the complete picture of what it would be like to eat with these, it would be useful to have that last piece of the puzzle (even if slotting it right into the others is not on the design menu). 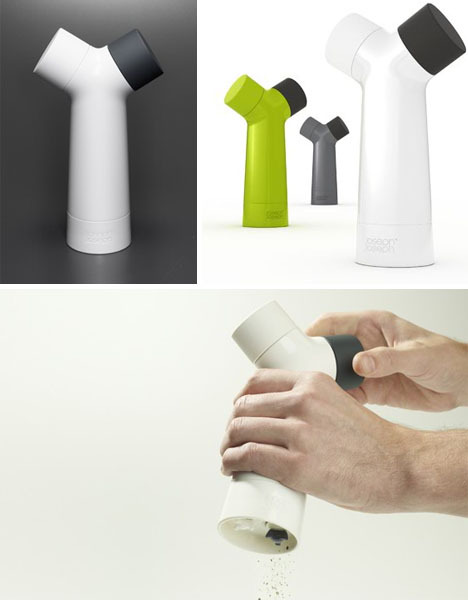 And for general fans of minimalist two-in-one design ideas, this same designer-and-brother duo has previously won awards for works like their two-in-one salt-and-pepper shaker – again, just one more way to reduce the number of objects needed to properly set an everyday dinning room table. It really nice model that I saw in ur blogs.